Oceanswatch is a not-for-profit organisation which runs expeditions on sailing yachts to remote Pacific communities, helping them in practical and sustainable ways to manage their natural resources and build resilience to the very real threats posed by climate change. 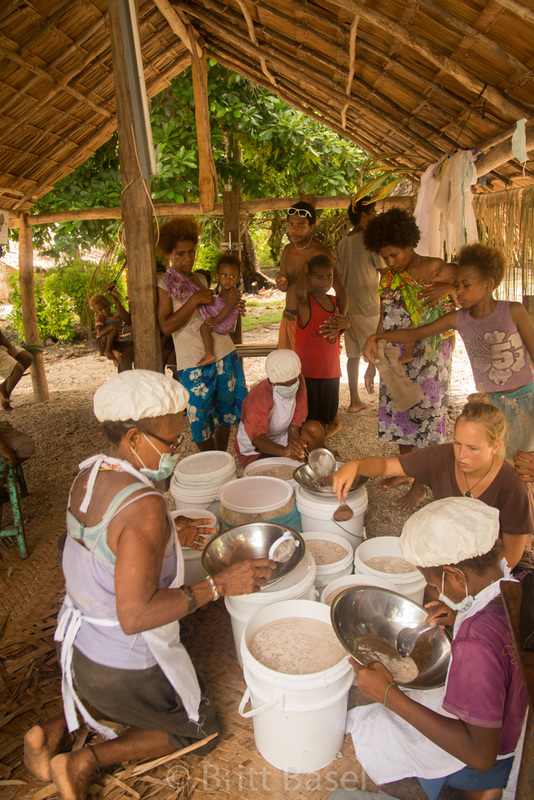 Britt Basel writes below about one such project in the remote Temotu Province of the Solomon Islands. Women dressed in colourful skirts, t-shirts, and flip-flops pressed in around me as we gathered around a piece of paper lying in the sand. A towering breadfruit tree shaded us from the blazing tropical sun. We all watched Sara as she added her signature to the other names at the bottom of the page. After two weeks of workshops and meetings, this group had come up with their Climate Change Adaptation Plan for the village. Sara’s was the final signature. Now that they had all approved it, they could put their plan into action. Everyone is talking about climate change these days. And well we should be. But what does it actually mean for the oceans and islands we love? Is it as simple as sea levels rising and big storms? Is there anything we can actually do about it? 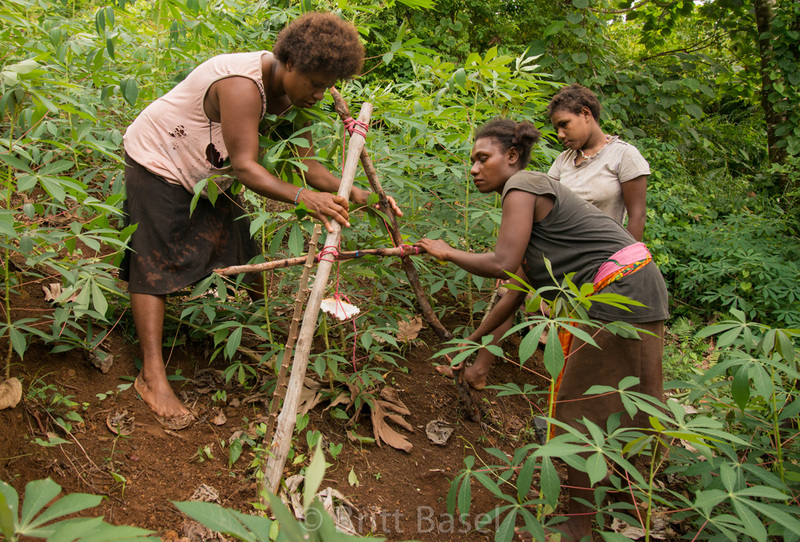 For an example, let’s consider the village of Buma, in the far-flung islands of the Temotu Province of the Solomon Islands – and the group of women signing their Climate Change Adaptation Plan. 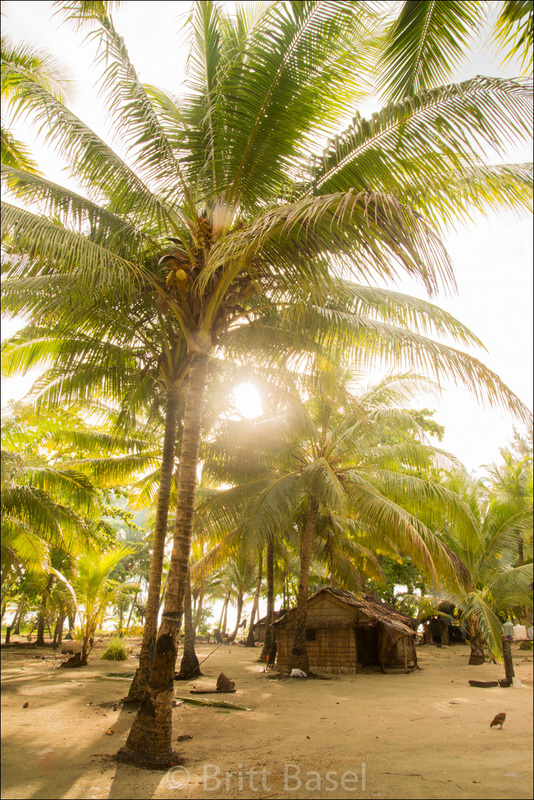 Buma is made up of maybe 20 grass and thatch homes (actually made from mangrove and sago palm) clustered on the beach with fruit trees and flower gardens scattered among them. A steep slope behind the village rises up into forest and jagged ridges beyond. Life here continues on much the way it has for thousands of years. Christianity has been mixed with “kastom” (traditional religion and social rules). Western clothes are the norm now. But people still only have what they can coax out of the earth and catch from the thousands of miles of open-ocean and the fringing reef that surrounds them. Maybe two months after a hurricane, disaster supplies of rice and flour may arrive from the capital. These people are on their own. The idyllic landscape can be transformed overnight by hurricane winds that flatten all of the houses. Luckily these houses are free and easy to rebuild as long as they’ve grown enough sago. Salt spray and surge from large storms can ruin the crops they depend on. Spring tides can flood the entire village. Warm ocean temperatures can bleach their reefs and damage their fisheries in a span of just a few days. In Buma, Sara, Tina, Don and everyone else in the village must deal with these challenges, as did their parents, grandparents, and countless generations before them. They have learned how to survive the tsunamis, the storms, and the droughts. But science shows that climate change has upped the ante. Climate Change and Adaptation 101. Atmospheric carbon dioxide and other greenhouse gas levels have reached an unprecedented level. Except for a few outliers, the grand majority of the scientific community is certain that industrialization and converting forests to farmland and cities are responsible. In 2014 alone, we pumped 39.4 billion tons of carbon dioxide into the atmosphere. And these emissions are not just from SUVs and planes, but from manufacturing virtually everything we buy, use, and throw away. Extra CO2 has to go somewhere. About 50% is stored in the atmosphere. The ocean soaks up another 30%. The rest is stored in the land, mostly by trees and grasses. But why would this cause climate change? Carbon dioxide and other greenhouse gases absorb heat. Heat is energy. The energy in the atmosphere fuels our climate system. If you add energy to a system, you change how it functions. Then comes the impact on the ocean. CO2 absorbed by the ocean does not harmlessly vanish but makes the water more acidic: a seemingly minor impact with major consequences. When CO2 is absorbed in salt water, a chemical process begins, changing carbon dioxide to carbonic acid and then to hydrogen carbonate and hydrogen ions. More hydrogen ions increase ocean acidity, which breaks down calcium carbonate. Calcium carbonate is a fundamental building block for corals, some plankton, and other organisms that use it to grow or build their shells. We may think, “That’s sad, but there are other creatures in the ocean.” It’s not so simple. Phytoplankton are the lynch pin of the food chain that makes our fisheries possible. Corals support vast ecosystems, tourism based economies, and they protect our shores from storm damage. A change in the ocean’s pH (which we are already seeing) will have sweeping consequences. Impacts from CO2 are not immediate. Changes we are experiencing now are caused by what we dumped into the atmosphere years ago. Even if we stopped all emissions today, climate change and ocean acidification will continue for years into the future. Mitigate our emissions to reduce future impacts to our climate system and our oceans. Let’s bring this home to the paradise setting of Buma. Climate change means that we no longer know exactly what to expect from the weather. Traditional knowledge about planting times and weather patterns doesn’t quite apply any more. Seas are rising thanks to higher temperatures making the ocean water expand, and because of the runoff of melting of polar ice caps. More energy in the climate system means more intense storms and changes in precipitation patterns. Harder rains cause more erosion of topsoil, resulting in less productive agriculture and siltation of already struggling reefs. Warmer temperatures may cause more pests to attack crops. Changes in the rainy and dry seasons mean that people may suffer through intense floods and long periods of drought. Cyclones may have more energy built up in them and cause even greater devastation. Higher water levels may cause storm surge to sweep through villages. Solutions to reduce a village’s vulnerability to these risks are abundant and most only require the knowledge and resources the community already has. Let’s say that Ellen, a woman from the Climate Change group in Buma, only plants a single variety of sweet potato. There is more rain than normal and the crop struggles in the waterlogged soil. Ellen may be left with very little food to feed her family. But, if she plants several types of crops and several varieties of each crop, she’ll have plenty of food whether there is too much rain, drought, or a new pest that takes a liking to something she is growing. A community could opt to improve planting techniques in sloped gardens to reduce the erosion caused by heavy rain and the resulting damage to the reef. If a community has ample coconut trees and has stored food for emergencies, they will have food and drink in the wake of a cyclone or a tsunami instead of waiting for slow-coming disaster recovery supplies from the capital. While we don’t know exactly what climate change has in store, solutions like these reduce climate change vulnerability while also increasing food and water security, protecting fisheries, and improving the overall well being of the people. This is where OceansWatch comes in. 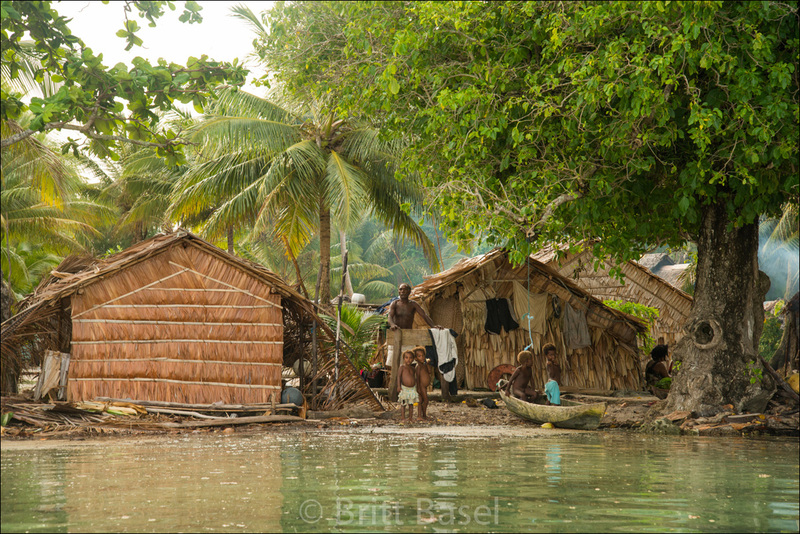 Since 2007 OceansWatch staff and skilled volunteers have worked with communities in the Solomon Islands, Vanuatu, and Papua New Guinea to help people find sustainable solutions to overcome the challenges they face. Marine protected areas, extra-virgin coconut oil programs for village women, and other projects have been a tremendous help to the communities, but climate change is also affecting fisheries, livelihoods, and their welfare. We realized that the success of all our programs depends on also helping communities to adapt to this new challenge. As a bonus, climate change adaptation also contributes to improving fisheries and local livelihoods. In each village, OceansWatch works with the villagers to understand what climate change is, what challenges they have faced historically and how the impacts of global warming may affect them. Based on what we all learn, we then help them identify what has helped them in the past as well as additional ways to protect the village and their children now and far into the future. Aside from new knowledge and maybe a few more resistant crop varieties, climate change solutions are actions the community can complete, on their own, without depending on outside aid. All the while, we strive to work within their cultural norms, instead of insinuating that any other way is “better”. 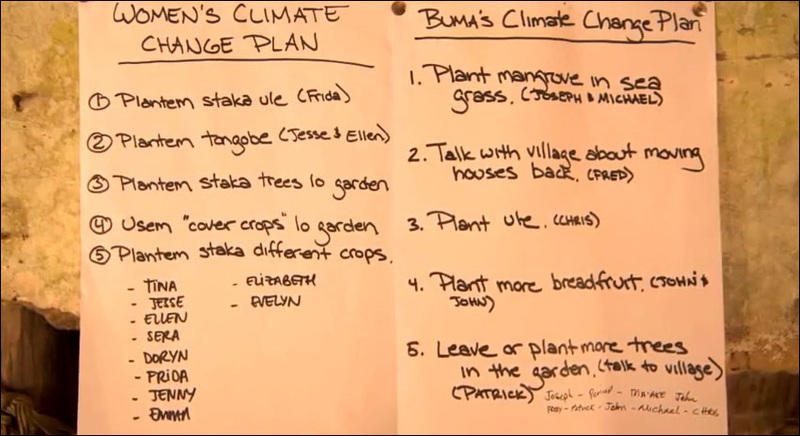 That’s how the women of Buma came up with their Climate Change Action Plan that we huddled around: a simple piece of paper that proved these women understood the risks they faced and had decided to do something about it. Find a solution to the erosion and landslides that are happening because a growing population and limited flat land has forced them to plant their fields on steep slopes behind their homes. OceansWatch promised to help them find this solution. When the time comes to haul anchor and head to the next village and the sails of our yacht disappear over the horizon, it always feels like a gamble. Just because they have a plan doesn’t guarantee they’ll do anything with it once we leave. But the entire process is designed to build local capacity to take on climate change. It’s up to them, not to us. That’s why it works. A month after the women signed their Climate Change Adaptation Plan and the chief approved it, we returned to the village with a solution to their erosion problems: vetiver grass to stop erosion with contour planting, paired with a leguminous tree known locally as “miracle tree” (gliricidia). 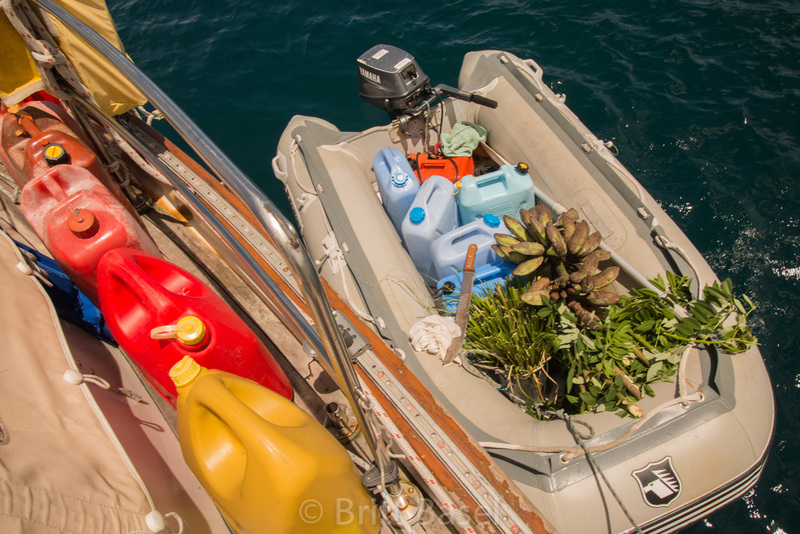 Chris and I took the dinghy into the village, a bit bleary eyed after the 36-hour sail, laden with a bucket of vetiver grass and a rice sack overflowing with gliricidia cuttings. Within an hour, almost 20 of us were in one of the fields behind the village navigating an extremely steep slope planted with cassava and sweet potato. From three large sticks, some twine, and a giant clamshell we rigged up a “bush level”. The villagers took turns practicing marking out the contours for planting the vetiver and miracle tree. Soon we had marked out the field and planted miracle trees along the slope with vetiver in between. The rest of the cuttings and a nursery for the vetiver were planted in the community so that, when the nursery and the trees mature, the entire village can get the cuttings they need to stop landslides and erosion on their own fields. Slick with sweat, we headed back to the village in the late afternoon sun. “Ellen, have the villagers done any other work for the Climate Change Adaptation Plan yet?” I asked. They had 11 months to go. I wasn’t expecting much progress yet. Ellen’s normally shy face split into a huge grin and she proudly pointed out toward the beach. While the OceansWatch team had been working with other villages, the people of Buma had already started to put their plan into action. Monitoring and evaluation of program progress are one way to tell if our programs are a success, but the villager’s smiles and baby mangrove trees are the type of proof that makes me love this work. They prove to me that we have managed to help these beautiful, loving, and friendly people to help themselves. How can you change what you buy and use to reduce your contribution to climate change? 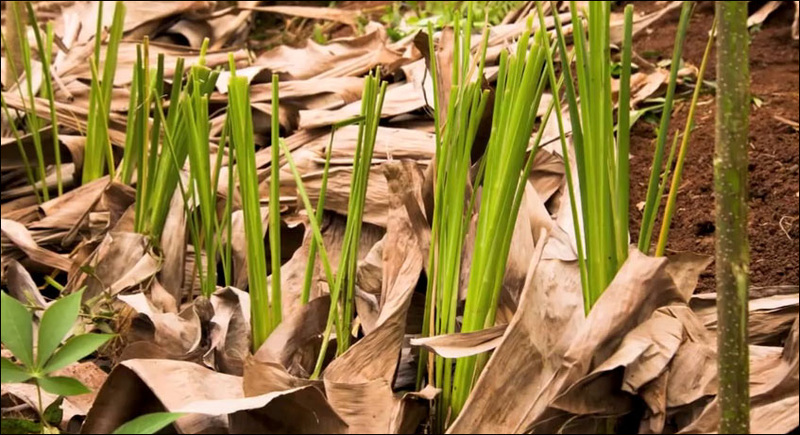 How can you help your community adapt to climate change through ecosystem-based solutions? Get information. Ask questions. Know that scientists are always learning more and that the latest information will change. Our actions should continue to evolve with it. 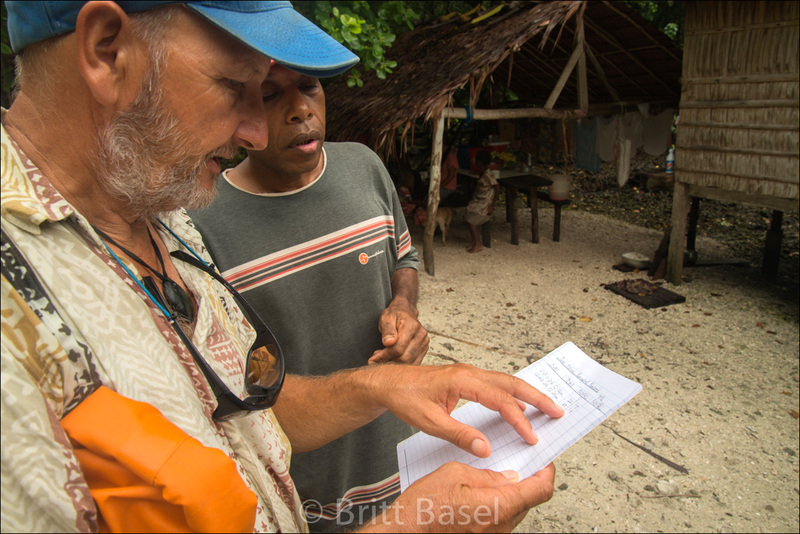 By working with the villages, OceansWatch have learned what each community needs. While our programs focus on building local capacity and resources, a little outside help can make all the difference. The Reef Islands are one example. In the village of Mola’a, people depend on rainwater for drinking and washing. The village has a 5,500 liter storage tank that 58 people depend on. The water usually lasts for 12 days. Droughts currently last for up to six weeks. With climate change they will likely last for longer. While the people can harvest rainwater and manage their water carefully, an extra storage tank could mean that they have clean water when the next drought hits. Contact us to sponsor a village and help them in the way they most need. 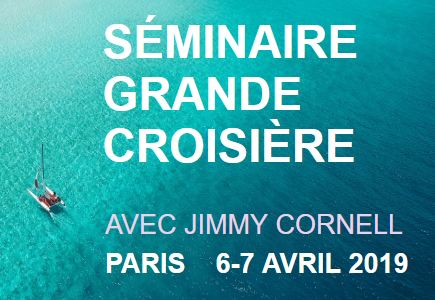 Oceanswatch is a not-for-profit organisation which runs expeditions on sailing yachts to developing small island nations to assist them with ecosystem management, sustainable livelihood projects, environmental education and to build their capacity to handle climate change. Find out more about our work. Help us to help these communities adapt to the challenges of climate change through donating your time, your expertise, or even your yacht for a field season. 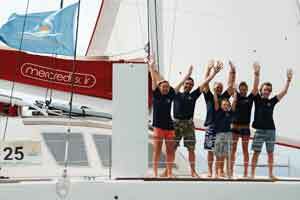 OceansWatch has developed programs that yacht based teams can help with. 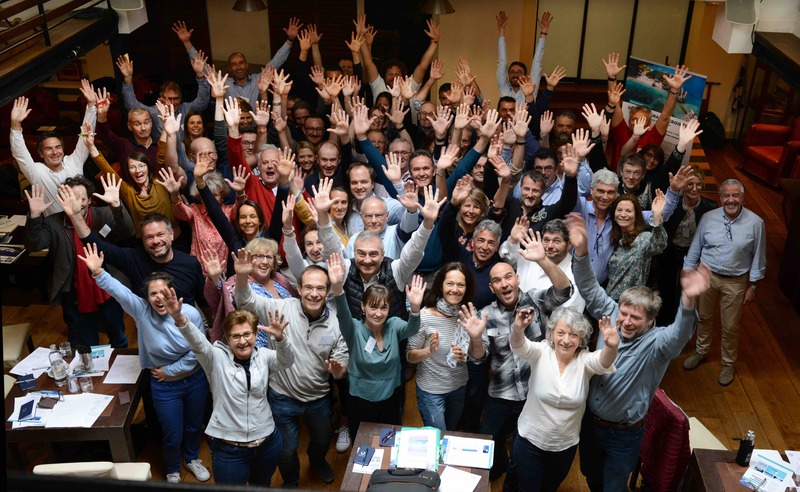 Email chris@oceanswatch.org outlining your areas of interest (marine, climate change, biodiversity, education, health etc), time available and a description of your yacht and team’s abilities and we shall try to find a good fit for you in one of our programs. Every one of you can help us make a difference.